THE MOST POWERFUL MAN IN CARTOONLAND BECOMES THE STRONGEST MAN ON THE SCREEN! All others pale in the light of this human fortress who finds no barrier too great in his amazing fight for justice. When a mild-mannered radio operator says shazam,” he is magically transformed into the mighty Captain Marvel. His mission: to protect innocent people from the evil use of the Golden Scorpion, a metallic statue of the gods. 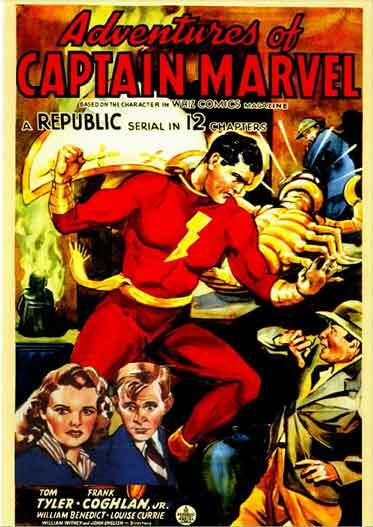 Definitely the finest of the old-time movie serials, and the finest live action version of Captain Marvel. 2 DVD Set – 12 Chapters (1941).